If you don't replace the fluids in your car, you're condemning it to arthritis. The fluids are what lubricates the moving parts of your car and brake fluid is a part of the hydraulic system that allows the brakes to operate at all. If your car is running on low or old fluid, your car is running dangerously. Your transmission, power steering, brakes, fuel system and cooling systems all rely on specialized fluids to perform correctly and efficiently. Transmission fluid needs to be replaced every 3 years/30,000 miles. 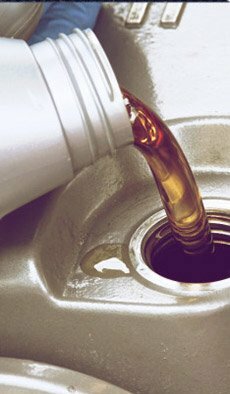 Broken down and dirty fluid puts an additional load on your engine and transmission. Old fluid can even carry shards of metal through your system leading to expensive repairs. Power steering and brake fluid should also be replaced every 3 years. Keeping your car on a schedule with fluid replacement services could save you thousands of dollars and a huge headache down the road. Taking car of your cars fluids is one of the most important steps you can take to give your car a long life, and a good ride.